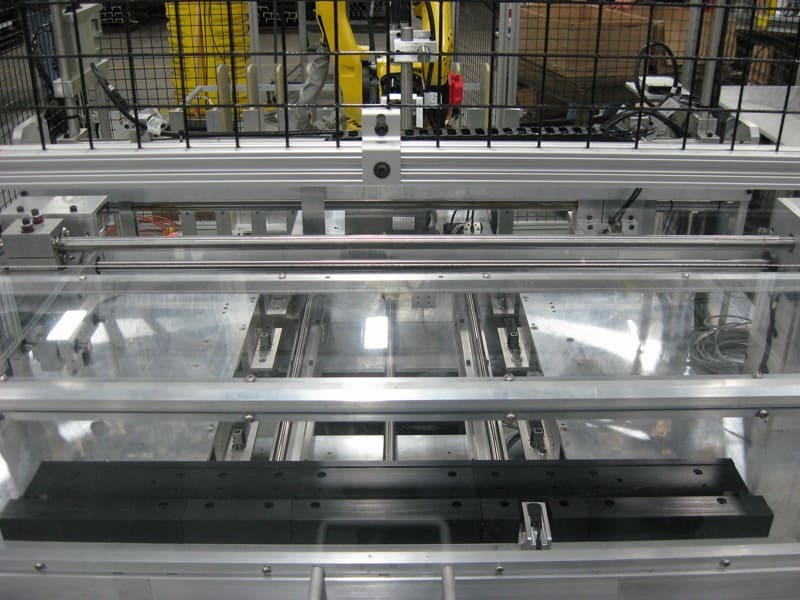 An extrusions manufacturer needed to upgrade their quality control process to a new robotic handling and vision inspection cell. 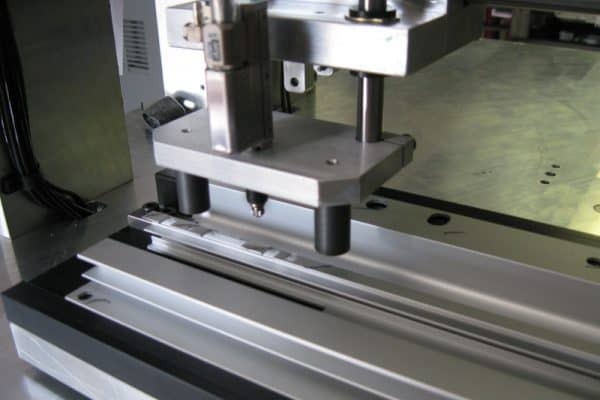 This particular system would inspect hundreds of thousands of aluminum extrusions for the automotive industry, and therefore required a reliable and efficient application. The ultimate goal was to reduce product waste and labor costs, which would lead to significant cost savings for the company. 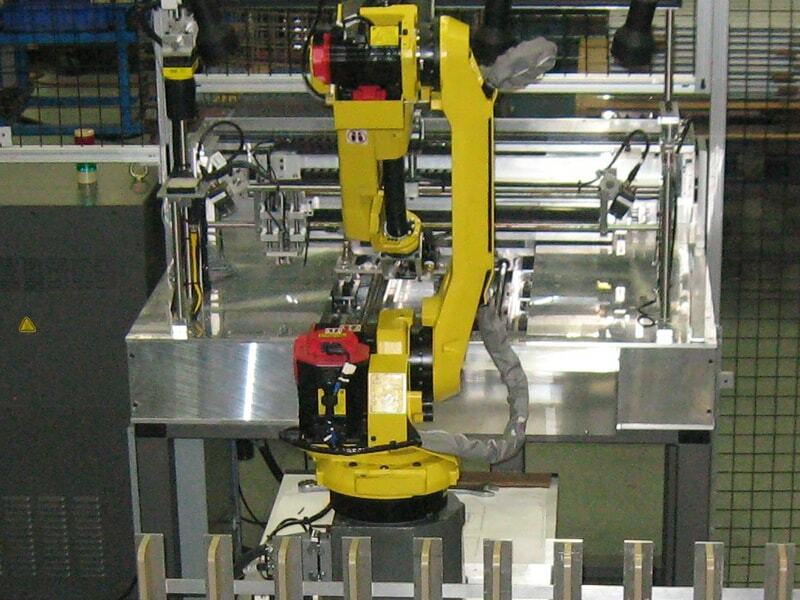 ETI partnered with JamWorks LLC to design a custom automated system with a Fanuc robot arm and vision camera. 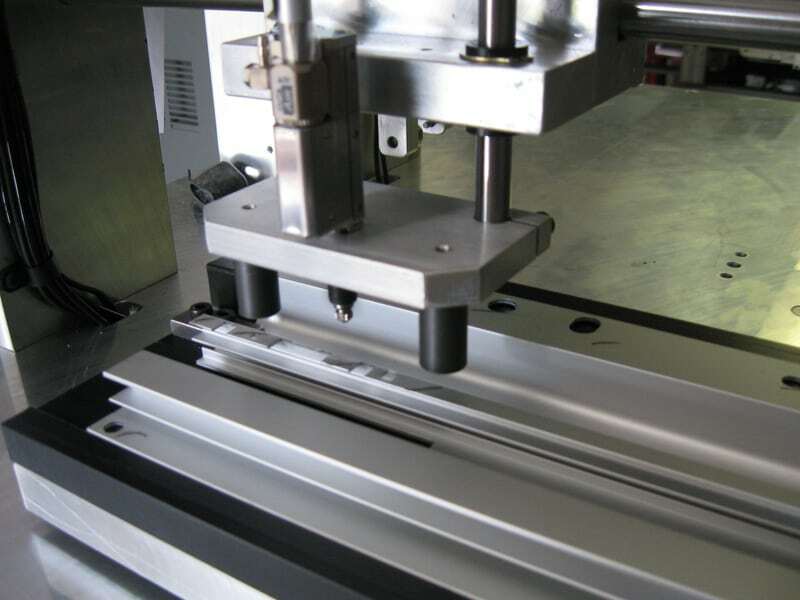 First, the extrusion part is manually placed on the infeed belt and conveyed to the inspection area. The robot arm lifts and places the part on a holding fixture where the camera’s vision system will scan certain QC points for inspection. 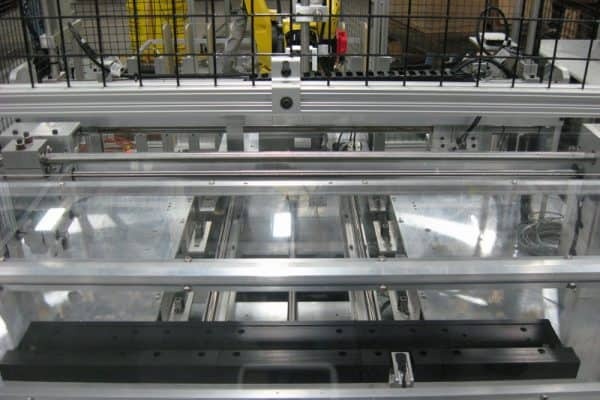 Once finished, the robot, returns and lifts the part out of the fixture, and one of two things happen depending on inspection: good parts are transported and placed on stacking table; bad parts are transported and deposited into the scrap bin. The stacking table holds up to 100 aluminum parts. Within a three-year period, approximately 450,000 pieces were inspected and only one piece was returned. 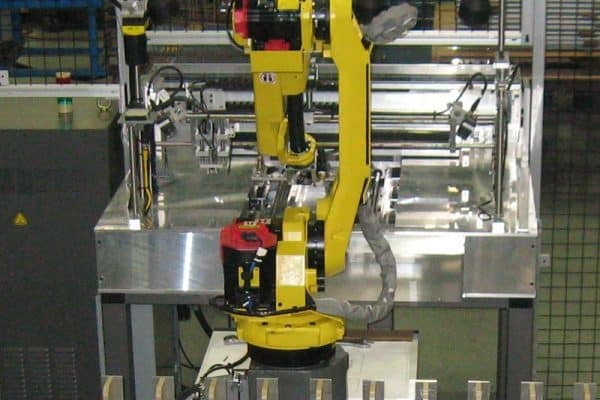 Designed a custom inspection system with a Fanuc robot and Pulnix vision camera, which reduced manual labor from three to two on the line. Labor savings were approximately $260,000 in just a few years, in addition to the money saved from less waste and the need for part replacements.